In one of the bizarre way of campaigning, Congress in not barring even animals for getting support as in Kawardha, the home district of the former CM Raman Singh, a buffalo has been used with the slogan "Listen to us (we dumb creature). Elect Congress this time. 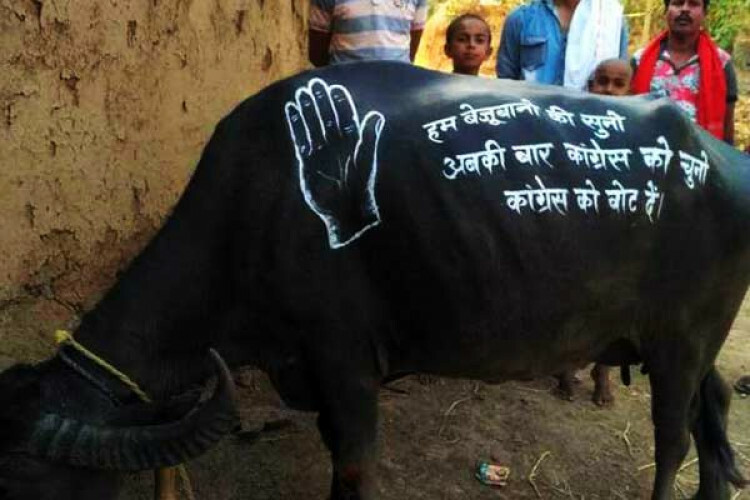 Vote for Congress" written in Hindi on the animal's body in the ongoing election campaign. Use of any animals is contrary to the manual issued by the ECI.